When the time arrives for you to return your lease car or van as your contract nears its end, it’s important that you make all the right preparations before the vehicle is collected, so that the inspection and collection run as smoothly as possible. So that our customers experience a hassle-free vehicle collection, Flexed would like to take this opportunity to go over a few important things that will help with the preparation process and assure a smooth and pain-free handover. Before inspecting the vehicle yourself, clean it both inside and out so that any issues can be spotted easily and rectified before our inspection is carried out. Make sure the interior is valeted and any rubbish is removed. To help keep your lease vehicle looking good, we recommend regular cleaning both inside and out whilst in your possession. A good exterior polish carried out a few times a year can help keep the paintwork in tip-top condition. Once your lease car or van is clean both inside and out, you should inspect the vehicle very carefully to look for any damage that isn’t covered under the BVRLA Fair Wear & Tear guidelines – not repairing any such damage may result in extra charges at the end of your contract. It’s recommended by the BVRLA that you inspect your lease vehicle around 10 to 12 weeks before the end of your contract (on a 12 month term) to avoid charges and to give you enough time for any repairs to be carried out. As well as checking the interior and exterior of your lease vehicle, a proper check of the tyres is advisable. Check the wheels, trims and tyres for any signs of damage and make sure that all the tyres are legal. Make sure the interior smells fresh and that all the controls are working, as well as checking the upholstery for stains, tears or burns. Our inspection will be carried out in daylight, so make sure you carry out a full inspection in good light so nothing is missed. You might want to ask a friend or relative to check over the vehicle as well, just in case you’ve missed something. Make a list of the things that need rectifying and remember to have them repaired by an authorised agent. Before any repairs are carried out, please inform your finance provider. Make sure that both sets of keys are ready to be handed over and that all documentation/manuals related to the lease vehicle are there. It may sound obvious, but the vehicle must be in a legal, roadworthy condition before it’s collected. There must be no warning/alert lights or messages coming up on the dashboard. 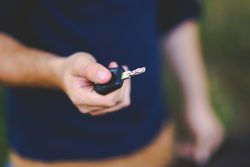 Before your lease vehicle is collected, remove all your personal items from inside and remember to remove any keys not related to the vehicle from the key holder. If your lease car or van has a built-in sat nav or media system, make sure you erase all personal information before the vehicle is collected. If you’ve made any modifications to your lease car or van, such as the placement of a personalised number plate, the fitting of a tow bar or roof rack or wrapping with your company decals, please ensure that these are removed prior to collection, making sure that doing so leaves no damage behind. The removal of a personalised number plate will require you contacting your finance provider and may involve an administration fee. This process is best carried out around six weeks before your contract is due to end (on a 12 month lease). Our vehicle inspection and collection will be carried out on a day and at a time that fits in with you. You will be notified in advance as to when your lease vehicle is due for return, giving you plenty of time to prepare your lease vehicle for a smooth collection. On the day your lease vehicle is collected, a thorough check will be made of the interior and exterior, plus the mileage will be noted and recorded along with the overall condition on a Vehicle Condition Form. It’s important that you check the details on the form before you sign it to make sure everything written down is correct. You will be provided with a copy of the form to keep. To help ensure a smooth collection of your lease car or van, our advice is always to plan ahead and make the right preparations in good time. Please click here to find out more about our business/personal car and van leasing services and special offers, or give us a call NOW on 0800 311 8290.